In a world of hyperrealistic, high-end collectible figures, it’s nice to remember when a company like Mego was cranking out toys meant to be played with. In the 1970s, Mego figures were everywhere: playgrounds, playrooms, and sandboxes around the world. 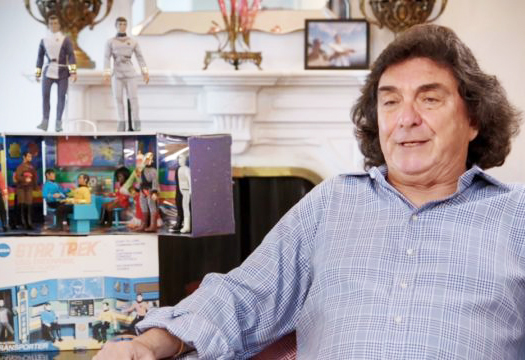 For his vision in changing a small toy distribution company into a massively popular toy brand, Marty Abrams is being inducted into the Pop Culture Hall of Fame. 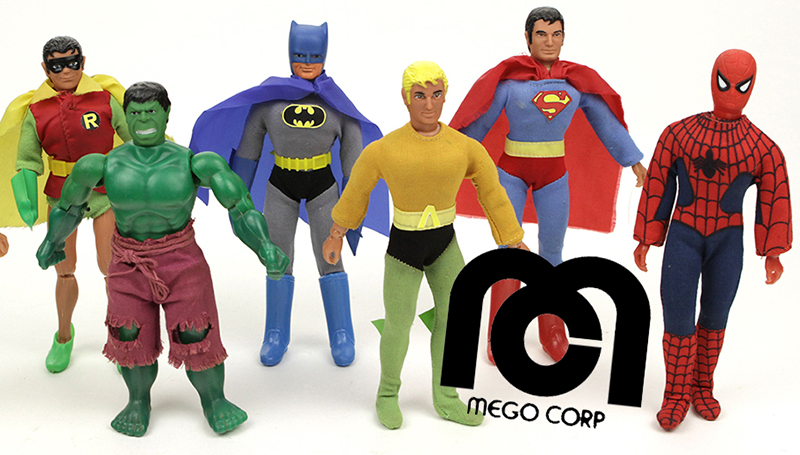 Mego was founded in 1954 by D. David and Madeline Abrams as an importer of inexpensive dime store toys. Changing economics forced them to rethink their business model, and in 1971, their son Marty, fresh out of college, became company president. He came up with the idea of producing inexpensive action figures, most of them sharing the same body molds, in the likeness of popular comics figures. 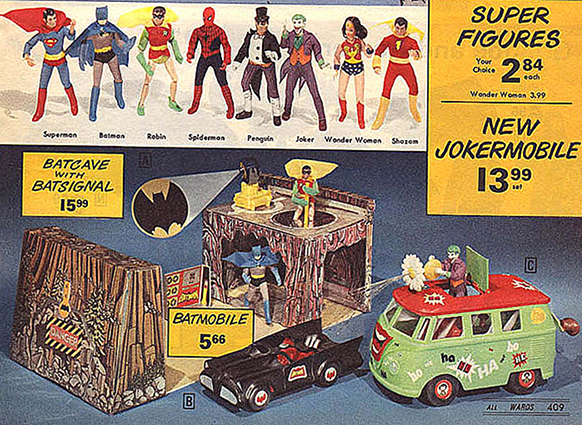 The first new Mego figures were of the DC SuperFriends, as well as playsets and vehicles to go along with them. Simple and sturdy, the 8-inch tall figures were lightning in a bottle for the company. The massive success gave Mego the capital and the credibility to secure licenses for Star Trek, Wizard of Oz, and Planet of the Apes, all leading to even bigger success. In fact, the Planet of the Apes characters were among the very first movie tie-in merchandising of its kind. The 8 inch figures gave way to another smaller success: Micronauts, tiny translucent robot/astronaut figures, which sparked a toy revolution on a whole new scale. Mego came out with their own new character, Action Jackson, who competed with G.I.Joe for a few years. Unfortunately, in 1977, Mego passed on the opportunity to create the toys and figures for a new movie called Star Wars. Kenner snapped up that license, and their 3-3/4 inch figure size became the new favorite toy standard. Despite new TV figures with CHiPs, Dukes of Hazzard, and The Greatest America Hero, Mego would fall by the wayside in the early 1980s. Marty has continued working in the toy industry over the years, but the popularity of his old company never went away, and he has become a fixture at Mego Conventions. He attempted to retire recently, but history and nostalgia came calling. The sheer enjoyability and durability of those early Mego figures have kept them popular among collectors. 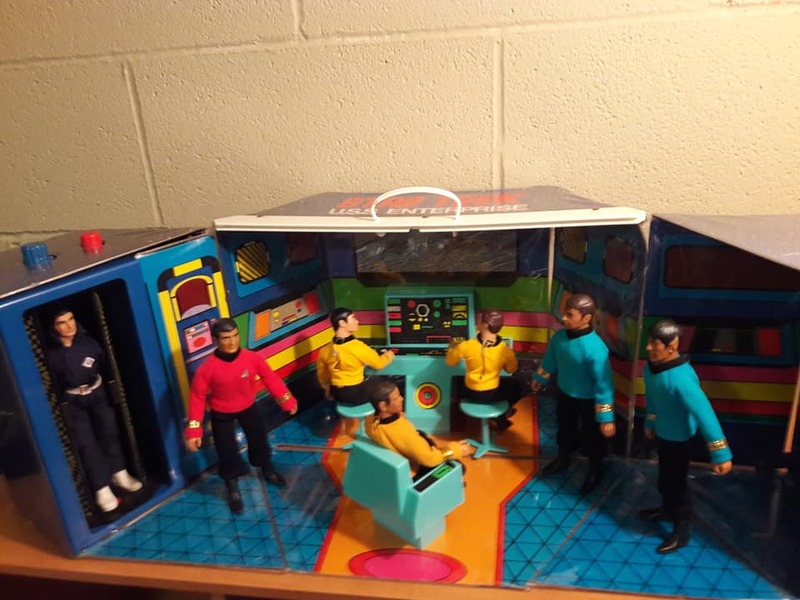 Earlier this year, Marty Abrams was able to capitalize on the nostalgia factor and create a new line of Mego toys to be introduced at the San Diego Comic Con. Similar in size and structure, fans old and new instantly bonded with them again. Marty made the best action figures ever produced in the World. I still collect to this Day, And will continue to do so. Marty is a Legend by all standards. And always will be. Very well deserved… I think all of us who grew up in the 1970’s would agree that Marty Abrams was a huge part of our lives via Mego!